As part of a speech Wednesday, Brad Duguid praised several Detroit Three investments in Ontario technology. 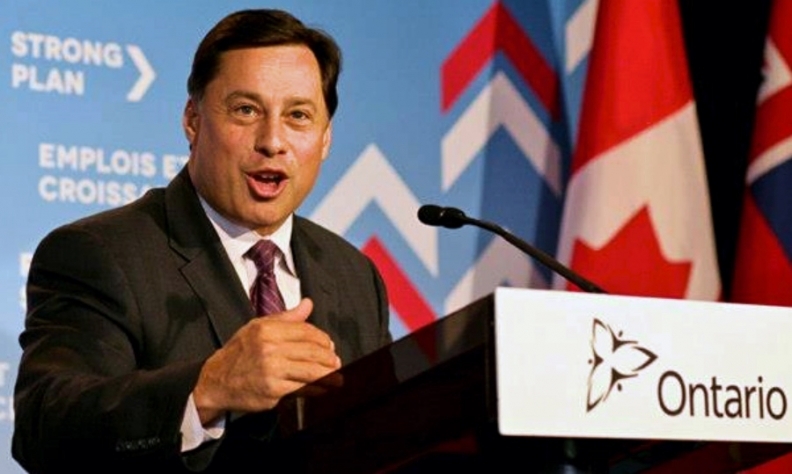 Ontario Minister of Economic Development Brad Duguid said Wednesday the province is talking with the Detroit Three on how best to financially support the automakers as they prepare to invest $1.6 billion in the province. As part of new collective agreements with the union Unifor, each automaker promised to upgrade, expand or retool several factories in Ontario. $554 million from General Motors, which will upgrade its Oshawa plant. $331 million from Fiat Chrysler Automobiles, which includes a new paint shop in Brampton. $713 million from Ford Motor Co., which will spend $613 million of that on a new engine program in Windsor. “Very important to those negotiations and discussions was the knowledge in the boardrooms in Detroit for those three companies that they have a government in Ontario and Canada that was there if they needed us,” Duguid said. “Not all of those investments are going to require government support; some of them will. Duguid made the comments while taking part in a question-and-answer session after delivering an address about technology and economic diversification at the Canadian Club of Toronto. Duguid wasn’t just talking about short-term investment, either. “We’ll be a contributor to landing future investments down the road with those companies. It’s absolutely important,” Duguid said. The minister’s comments came less than a week after Dias called on “all three levels of government to their part” in helping secure immediate and future auto investment. “We’ve done our bit. Now it’s their turn,” Dias wrote for the Huffing Post, for which he is a contributor. As part of his speech, he praised several Detroit Three investments in Ontario technology during his speech. Duguid highlighted Ford’s new partnership with Waterloo’s BlackBerry and GM’s expansion of connected and autonomous vehicle engineering and software development in Ontario, specifically GM’s new Markham Software Centre.